If one learns how to interpret, one can get from dreams much knowledge of the secrets of our nature and of other-nature. Yes, certainly, dream experiences can have a great value in them and convey truths that are not so easy to get in the waking state. When you practise yoga, the consciousness opens and you become aware - especially in sleep - of things, scenes, beings, happenings of other (not physical) worlds and yourself in sleep go there and act there. Very often these things have an importance for the sadhana. So you need not regret seeing all this when you sleep or meditate. One can learn much by observing one’s dreams. 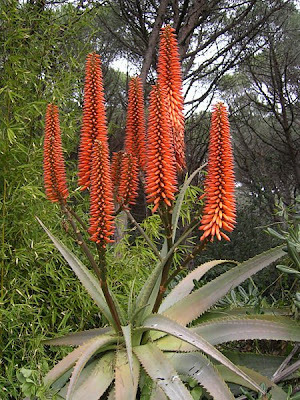 Small light orange tubular flower tinged with yellow green; borne on tall racemes. A stemless clumping herb with thick succulent leaves.